Railway Station’s 150th Year Anniversary. Llanwrtyd Wells has just celebrated the 150th anniversary of the opening of its Railway Station on 6th May 1867. After congratulatory speeches over 100 members of the community crowded into the station building for afternoon tea arranged by ‘Friends of the Station’, a group of volunteers who look after the planting at the station. The establishment of rail link was an important event in establishing the development of Llanwrtyd Wells as an important spa town. Soon trains were bringing thousands of visitors from South Wales and elsewhere for their summer holidays and to ‘take the waters’. As a consequence the town grew rapidly to accommodate these large numbers of visitors – many of the buildings that one sees around the centre of the town were built at this time during the late 1800s. An interpretive board situated at the railway station describes how things have changed since then when a station master, a booking clerk and two porters were on duty to meet five passenger trains arriving each day. Older residents can remember the town at that time with over 30 shops, two golf courses and a bowling green – so hard to believe now! 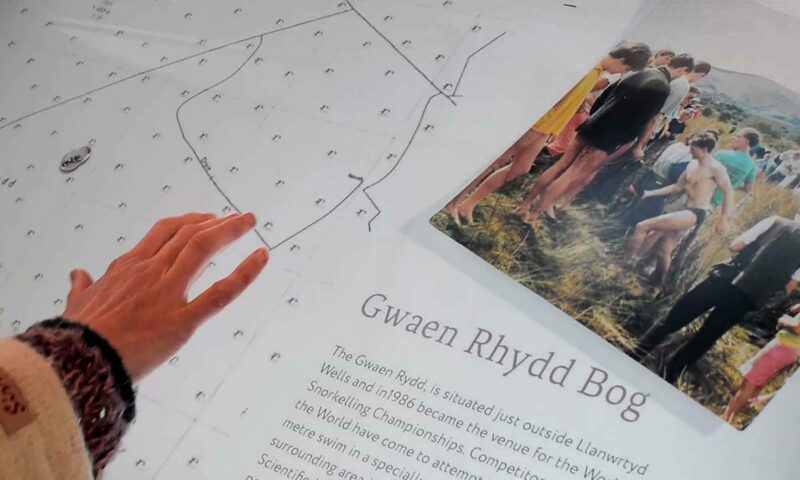 Visitors to the Heritage and Arts Centre are able learn more about this fascinating period in Llanwrtyd’s history and listen to members of our community talking about their memories. 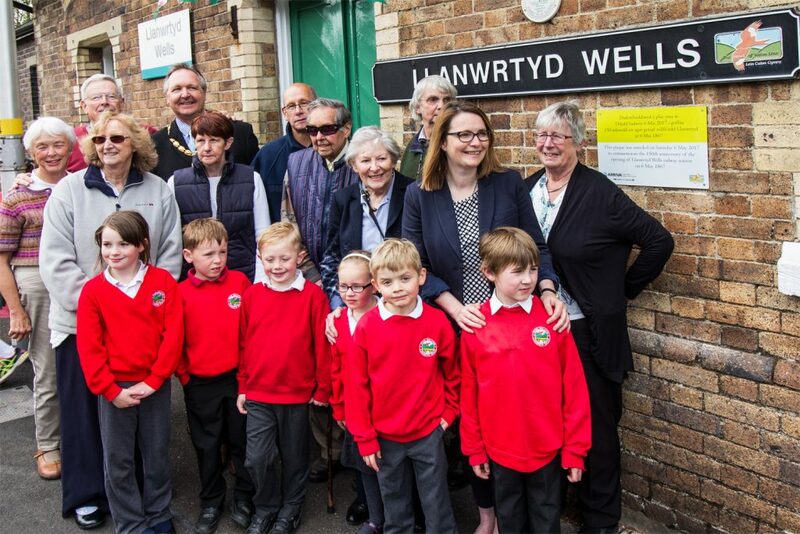 Mr John Price (in the centre of the photograph with ‘Friends of the Station’ and children from Ysgol Dolafon) was the last signalman, employed from 1969 until 1986 and often also deputising as station master/porter/booking clerk/parcels clerk/public relations officer too!). At 20.15 on 6th July 1986 John filled the kettle as usual so that up and down train drivers could make a can of tea when they arrived, and then, for the last time, walked up the platform to operate the necessary points and signals and walked back to hand over a ‘train staff ticket’ to each of the drivers to allow the two trains to proceed along the next section of the line. The station has remained unmanned ever since.